I was in the U.S. for a couple of weeks, so I haven’t commented much on LINUX (not that I would have said much had I been around), but for what it is worth, I have a couple of comments now. Most older operating systems are monolithic, that is, the whole operating system is a single a.out file that runs in ‘kernel mode.’ This binary contains the process management, memory management, file system and the rest. Examples of such systems are UNIX, MS-DOS, VMS, MVS, OS/360, MULTICS, and many more. The alternative is a microkernel-based system, in which most of the OS runs as separate processes, mostly outside the kernel. They communicate by message passing. The kernel’s job is to handle the message passing, interrupt handling, low-level process management, and possibly the I/O. Examples of this design are the RC4000, Amoeba, Chorus, Mach, and the not-yet-released Windows/NT. Mach 3.0 to monolithic systems) that it is now all over but the shoutin`. wrote my own IBM PC simulator in C, which you can get by FTP from ftp.cs.vu.nl = 192.31.231.42 in dir minix/simulator.) I think it is a gross error to design an OS for any specific architecture, since that is not going to be around all that long. MINIX was designed to be reasonably portable, and has been ported from the Intel line to the 680×0 (Atari, Amiga, Macintosh), SPARC, and NS32016. LINUX is tied fairly closely to the 80×86. Not the way to go. 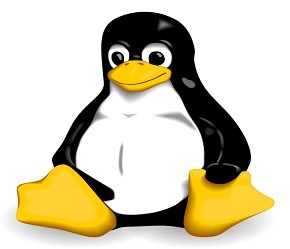 Don`t get me wrong, I am not unhappy with LINUX. It will get all the people who want to turn MINIX in BSD UNIX off my back. But in all honesty, I would suggest that people who want a **MODERN** “free” OS look around for a microkernel-based, portable OS, like maybe GNU or something like that. P.S. Just as a random aside, Amoeba has a UNIX emulator (running in user space), but it is far from complete. If there are any people who would like to work on that, please let me know. To run Amoeba you need a few 386s, one of which needs 16M, and all of which need the WD Ethernet card.